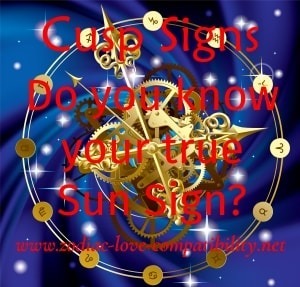 Cusp Signs - Do You Know Your True Sun Sign? Find Out Here! 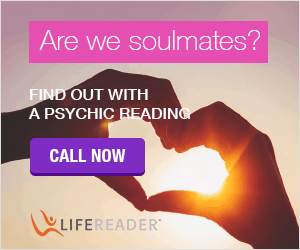 Cusp Signs – Do You Know Your True Sun Sign? Find Out Here! What are Cusp Signs? Were you born on the Horoscope Cusp? 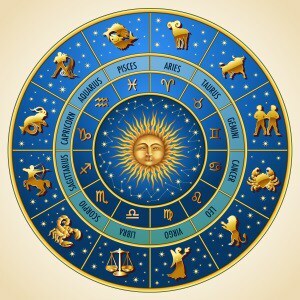 On this page you will learn all about Horoscope Cusp Signs. 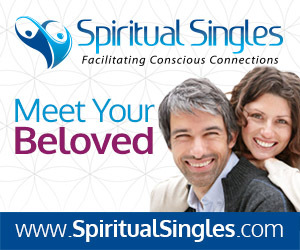 There’s also links to more information about individual Cusp Signs and Born on the Cusp Love Compatibility. The Horoscope Cusp Sign definition means that you were born during the transition of the Sun from one Zodiac Sign to another. Do you know which of the Signs of the Zodiac is your true Sun sign? Your true Sun sign depends not just on which date you were born. But for those of us born at a time of the month when the sun moves from one Zodiac Sign to another, it is also crucial to know the exact time we were born. For example, my birthday is May 21st. In some years the sun is in Taurus on that date and in others it is in Gemini. However, because I know my time of birth, I am certain I am a Gemini. This is because the sun moved into Gemini two and a half hours before I was born. Had I been born on the same date and time, but five years later, I would have been a Taurus. This is because the sun did not move into Gemini until two and a half hours after I was born. 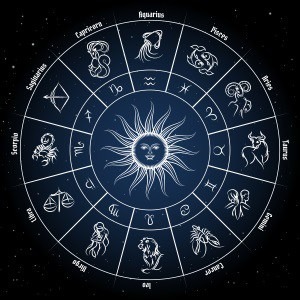 You will have noticed that different astrologers in different publications tend to give slightly different dates for when each of the zodiac signs start and finish. This is because the actual times and dates can vary from year to year. These change-over dates and times are the reason why, if you were born on the Cusp, it is important to know exactly which star sign you are if you are reading your horoscope online, in newspapers or magazines. Astrologers always give a date range for each star sign but for some of us it will be wrong. If you were born “on the cusp” and would like to know exactly what Zodiac sign you should be, then this page has a FREE Sun Sign and Cusp Sign Calculator, which will confirm your star sign. Why is it important to know your exact Sun Sign? 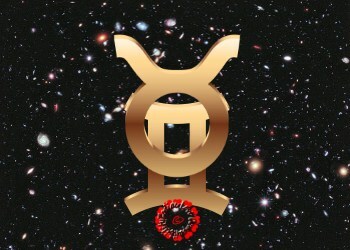 Your Sun sign represents the sign of the zodiac that the Sun was in at the precise time of your birth. Ruling ego and willpower, the Sun determines exactly who you are. It also tells you what makes you “tick”, your potential and what is unique about you. As the Sun is the core of our Universe, so it is the core of our individual beings. All of your personality and the life you lead is underpinned by your Sun sign. It forms the foundation of who you are, how you interact with others and how others regard you and are influenced by you. However, if you are born on the cusp of two Sun signs, you will take on a combination of characteristics of BOTH signs. From my own personal experience some of my Gemini characteristics are balanced out by the influence of Taurus. For example: as a Gemini I like to be free and independent. This means as a parent I can feel tied down by babies until they themselves start to get more independent. However, this is balanced out by the maternal nature I have that comes from my Taurus side. My name is Krystal Abram and I was born on December 14th 1990 sometime in the middle of the night in Palo Alto California but not sure when and I know I’m Sagittarius but I don’t know my rising or lunar or who I’m ruled by and I wish to know or have some one to help me understand. Please. I wish I knew the time of my birth but I don’t. Hi I was born 23.9.68 in Auckland New Zealand at 1am. Could you please tell me my sign. Thanks and kind regards, have a great day. Hi Tania – this Birth Sign Calculator will help you find out your Sun Sign. Hi!! Im Erin and I have been DYING to know my sun sign! I was born august 23 at 2:49 am In Akron Ohio Born at city (summit) hospital… PLEASE HELP ? , also wanted to know how would a relationship with me and a Sagittarius/ Capricorn cusp would work out? Check out this link to my free birth sign calculator and it will show you your Sun Sign. I’m completely confused! I was born July 19, 1993 at 4:43pm in Denver, CO. I was born on Feb. 19, 1977 in Chicago, Ill. at approx. 2 pm & I seem to be the perfect blend of Aquarius & Pisces. My star sign I’m not so sure about. I was wondering if there could be a cusp compatibility chart made for each cusp? Since I am a Leo-Virgo, born on the Cusp of Exposure, my signs (Leo and Virgo) are polar opposites, so I’m not sure about my sign’s compatibility. Sofia, I am currently working on an article that deals with this topic. Subscribe to the blog – link in left hand sidebar, and you will be notified when the article is published. Don’t know if you still do this but I was born 2/16/89 at 12:37am in Atlanta, Ga. I was born on June 20, 1968 at 21:00 Louise Mississippi. What is my cups sign? Am I a Gemini/Cancer or just Gemini? I couldn’t figure the chart out. Aloha AJ Ashley! 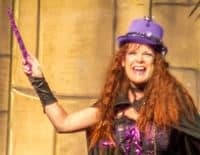 I would love to have more guidance, throughout my life I’ve always felt a little this and/or that, here and/or there and I thank you in advance for your help. I was born in Honolulu, Hawai’i on December 22, 1971 at 1840. Mahalo for your time and talent. I’m born may 20th 1985 long beach California Am I a Taurus or Gemini? It depends on your time of birth. The sun moved into Gemini at 18:43 Pacific Time on May 20, 1985. If you were born before that time then you are a Taurus. However, you were definitely born on the Cusp of Taurus and Gemini. Click the link to find out more about your personality. I was born March 29 1951 @ 8:14am in Omaha Nebraska. Could you please help me figure my sign/signs. I’ve been going by Aries according to my birthdate, but much of that sign doesn’t fit me, somethings yes, but other things not me at all. So, I’m thinking I may lean a little more towards the Pisces side or then again I could be Taurus as well… But then again I’m not sure. Diane, your sun sign is definitely Aries, but your personality will be influenced by the position of all the planets in your Birth Chart. Visit this page to create your free birth chart, which also has a link to another site that has all the free info you need to help you to interpret your chart. Hi I was born in New Westminster B.C. Changing. Plse help me figure this out. I was always told I was a Taurus but I think you migt tell me something different today? Thank you! Renae, you were born at 11.20 GMT on a day when the sun moved into Taurus at 10:50, making the sign of the Bull your sun sign. Although you were born on the Cusp of Aries and Taurus, Your personality will also be influenced by the position of all the planets in your Birth Chart. Visit this page to create your free birth chart, which also has a link to another site that has all the free info you need to help you to interpret your chart. Hey! I was born on December 22, 1995 at 12:22pm CST and I wanted to know if I’m a true Capricorn due to being born on a cusp. Thanks in advance! Hi Aisha, I cant give you accurate advice, because you have not given the location of your birth. However, the Sun moved into Capricorn on 21 December at 16:56 GMT in 1980. Hello, I was born December 22nd 1993 @ 6:04 am in Detroit, MI. Not sure the difference in time! Sara again, I forgot to put my birth time. I was born at 6:13pm. I was born on February 21, 1994 in Fayetteville North Carolina. I find that I identify with Aquarius and Pisces. Can you help? Please and thank you. Hi Sara. The sun moved into Pisces on 18 February 1994, so that is your Sun Sign. However, you may find my article about those born on the Cusp of Aquarius and Pisces useful. Hi, I was born on July 23,1994 at 7:14am in Kansas City Kansas. I always felt like more of a cancer than a leo, but I would like to know for sure. Hi Billie, the sun moved into Leo on 23 July at 01:41 GMT in the year you were born. You were born at 12:14 GMT, so although Leo is your sun sign, because you were born right on the Cusp, I am not surprised you feel more of a Cancer. You can find out more in my article about those born on the Cancer-Leo Cusp. I was born on april 20th 1998, goiania, goias, Brazil at 4:30pm brazilian time, and I know i was born on the aries-taurus cusp but idk which one is the dominant sign, help!? Hi Deborah, thanks for stopping by. You were born at 19:30 GMT on a day that the sun moved into Taurus at 06:57. This means that your Sun sign is Taurus. However, because you were born on the Cusp, you will have a mix of both signs. You can read more about your Cusp sign in my article about those born on the Aries Taurus Cusp. Am I Supposed To Be An Aries -Tarus ? Hi Miya, yes the sun would have been in Aries at the time of your birth, but if you can reply with your year of birth, we can then see exactly how close you were to having a sun sign of Taurus. You may also like to read up on the characteristics of those born on the Aries Taurus Cusp. Hello again Miya. The sun moved into Taurus on 20 April in 1999 at 12:46 GMT, a good couple of days after you were born. April 18 was also my Mother’s birthday and while I would say she definitely had the strong characteristics of an Aries, she also had the strong maternal instinct of a Taurus. Hi! I was born at 2:50 pm on September 23, 1985 in St. Louis, MO. I show equal parts of both Virgo and Libra. What is my actual sign? Hi Heather. St Louise is 6 hours behind London making the time you were born was 8:50 pm, British Summer Time. So we take off another hour to calculate the time in GMT (Greenwich Mean Time), making the time 7:50 pm GMT. The sun moved into Libra at 2:08 am on your birth date, so Libra is your Sun Sign. However, you say that you show equal parts Virgo and Libra, so I would be interested to know if you have the characteristics I write about in my article about those born on the Cusp of Virgo and Libra. Hiii! I was born on June 21 at 10:34 p.m, EST in New Jersey. Every website I look on either has me as a Gemini or Cancer, and I was born on the cusp of Gemini-Cancer but I want to know what specific one I actually am! Also (sorry for being so confusing), if I am a Cancer, why do I act more like a Gemini? Hey hi! I was born on 22nd aug 1997 at 8.30 AM in India.can you please help me out in finding my true sign. Ankita, it looks like you were born at 3am GMT, while the sun was still in Leo as it did not move into Virgo until just past midnight on August 23. However, you were born on the Cusp so you may find it helpful to read my article about the Leo Virgo Cusp signs. hey! Thanks alot.Your page has been very useful! i was born in that weird window of Englands time experiment and am not sure of my true sun sighn .Much less rising and lunar. my birthdate is 06/21/68 in Austin Texas @ 8;15 a.m. Help?? Hi Misha – ah that British Standard Time experiment between 1968 and 1971 when we had to go to school in the dark 🙁 However, because you were born in June in 1968, the time in London was still GMT+1 like every other British Summer. You were born at 13:15 GMT on a day when the sun moved into Cancer at 13:55, so you are just about a Gemini. However, you will probably have a combination of the characteristics of both signs and you can find out more if you clickthrough to my article about those born on the Gemini Cancer Cusp. I was born December 20th 1995 at 8:am how am I to figure if I am a Sagittarius -Capricorn Cursp or is it that I am just a Saggitarus. It is odd as if I’m a saggitarus then I dont get myself or what am i? Hi Amber, although you haven’t told me the location of your birth, we won’t need to worry about your local time difference to GMT, as the sun did not move into Capricorn in 1995 until December 22. 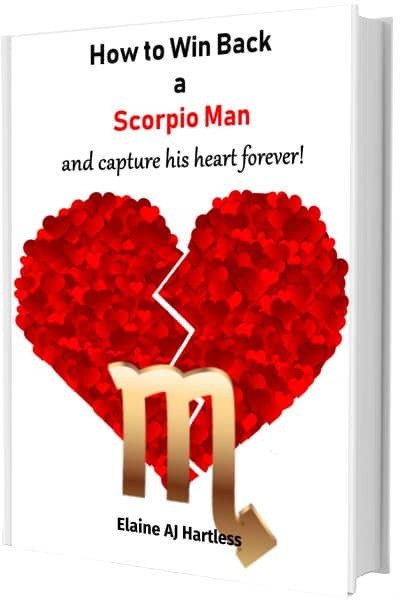 Your Sun Sign is Sagittarius but as you were born on the cusp with Capricorn, then I would expect you to have at least some of the characteristics I discuss in my article about those Born on the Sagittarius Capricorn Cusp. Hi Heather, from the co-ordinates you have given me, I can see you were born in Metairie, Louisiana and that you share the same birthplace as Ellen Degeneres 🙂 London is 6 hours ahead of Louisiana, so you were born at 12:30 on May 21, 1977. May 21 is also mine and my son’s birthdays!! The sun moved into Gemini at 04:14 on the day you were born, so your sun sign is Gemini, although because you were born on the Cusp with Taurus, you might find it interesting to read my article about those born on the Cusp of Energy.